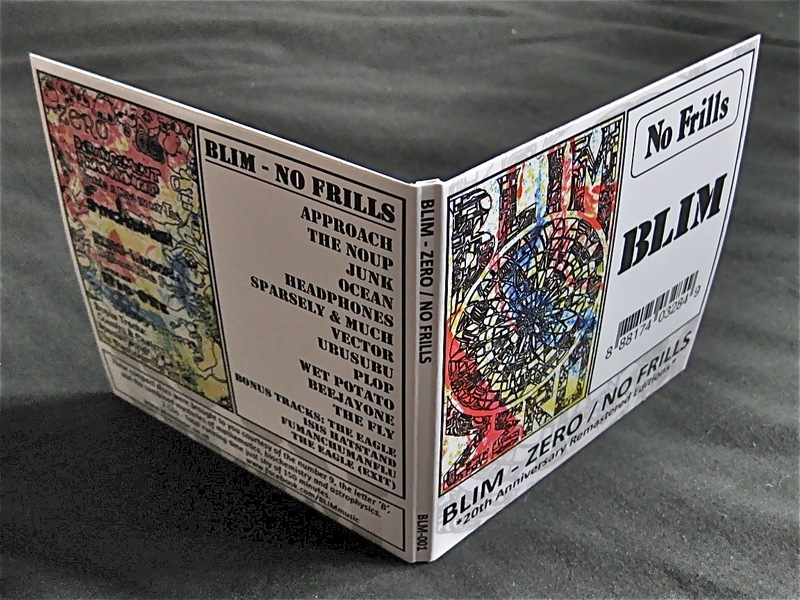 "You might think that this is quite strange..."
BLIM - ZERO / NO FRILLS - 20th Anniversary Edition Original albums 'Zero' & 'No Frills', fully digitally remastered, 2CDs, with 1414 whole seconds of bonus tracks, plus lyrics, photos and general shrink-wrapped havoc. Total running time just shy of 150 minutes. 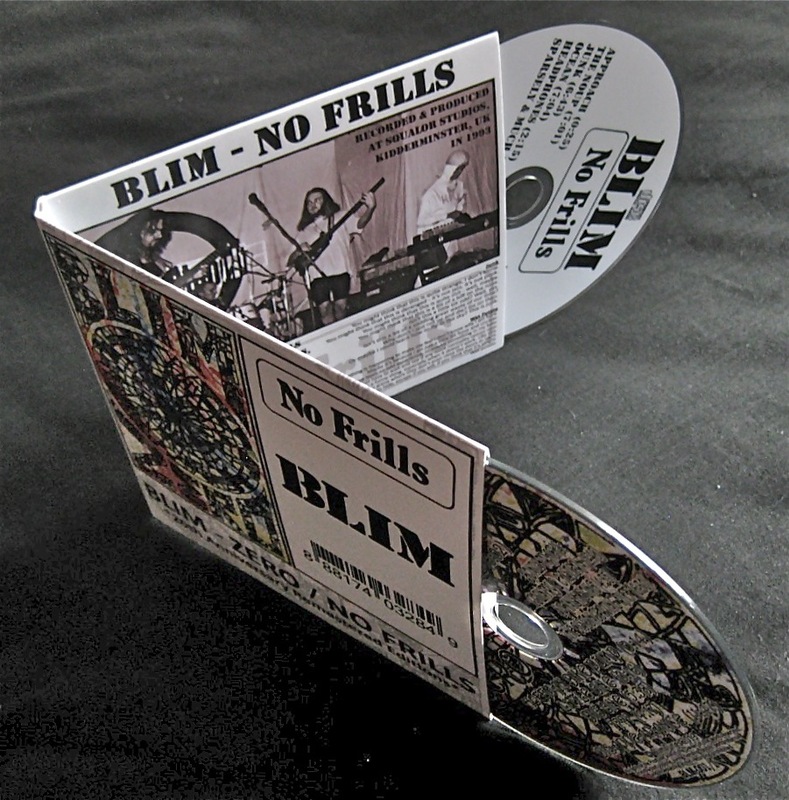 Available also from : Amazon, Bandcamp, CDbaby, Discogs (note that these distributors may be to susceptible to availability issues/delays and extra charges). 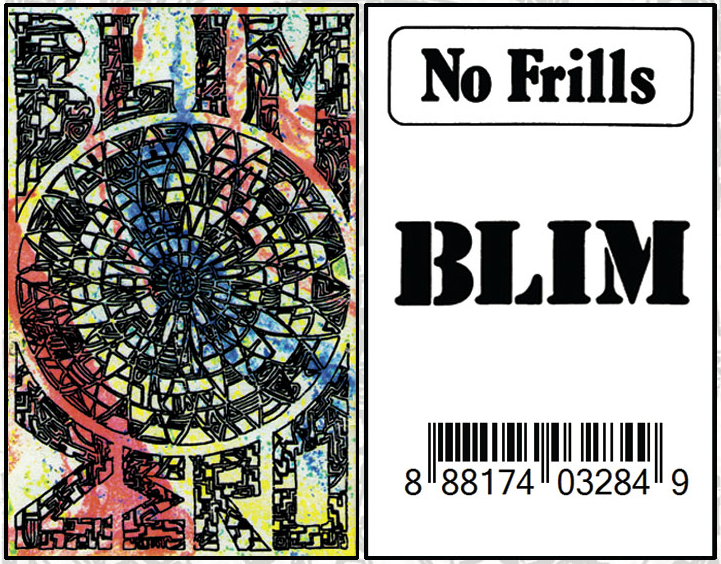 Available from : iTunes, Amazon, Bandcamp, CDbaby and elsewhere. 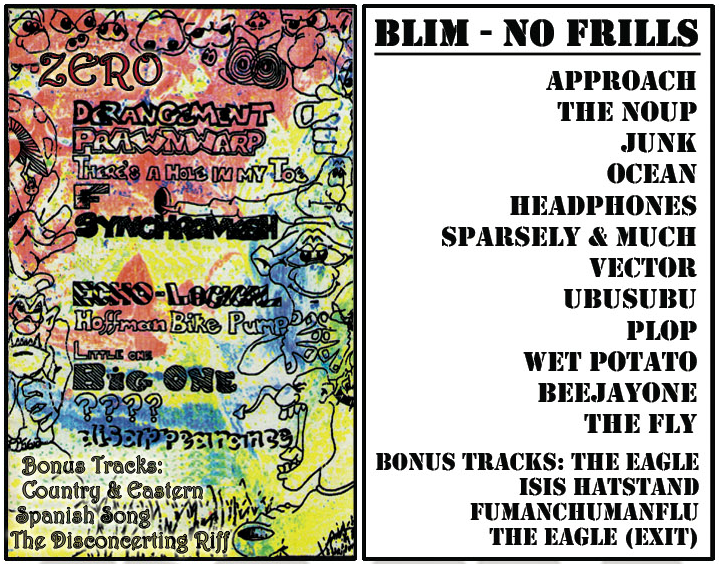 Preview clips are available at iTunes, Amazon, Bandcamp (whole tracks can be previewed) and CDbaby. 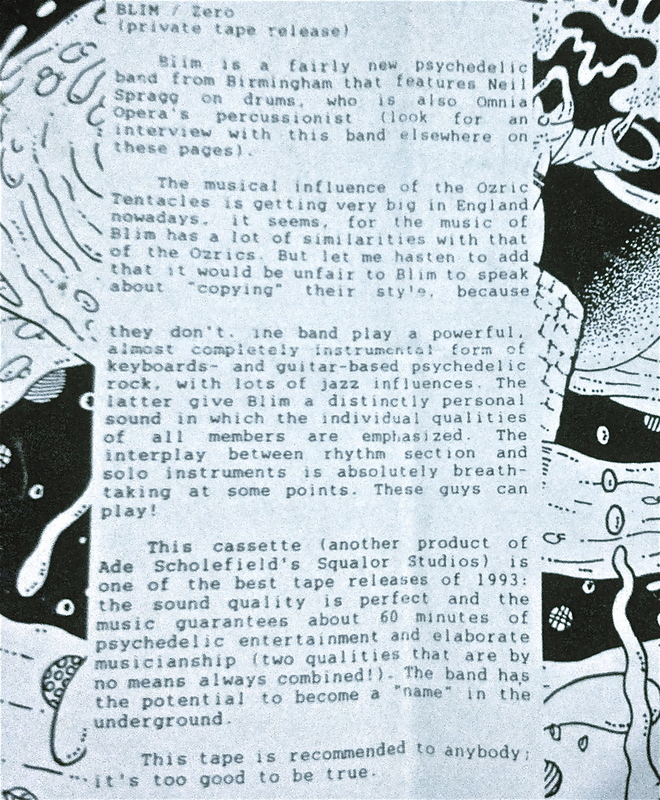 Birmingham UK, 1992. The ZERO band. guesting on bass, after half an hour's practise).